While Law and Order and increased resources for policing would be a major issue as political parties launch their campaign for General Election 2017, the New Zealand Police is revitalising its strategies and programmes for improving safety at work, home and public places. The National Party leadership says that it will tackle crime from the front and has announced a $503 million package that will account for 880 additional sworn officers, 140 of them specifically designated to regional and rural communities. The Labour Party has made Law and Order a priority and will announce a series of initiatives to promote safety. The New Zealand People’s Party was established in 2015 with a primary focus on law and order with policies to improve safety. 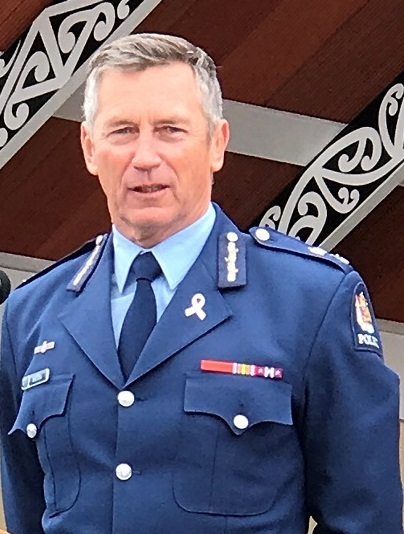 Police Commissioner Mike Bush said that increased engagement with Maori was the quintessential feature of the revised focus and that the response was encouraging. “Prevention of Crime and making people feel safer are among the priorities of the New Zealand Police. Challenges come with growth and we have listened to the people and their concern. We are taking steps to address the issues,” he said. Mr Bush was speaking at a reception organised at the Waiteti Marae Ngongotaha in Rotorua on June 24, 2017 in honour of Wallace (Wally) Haumaha, who was recently promoted to the post of Assistant Commissioner of Police (Maori, Pacifica and Ethnic Communities). 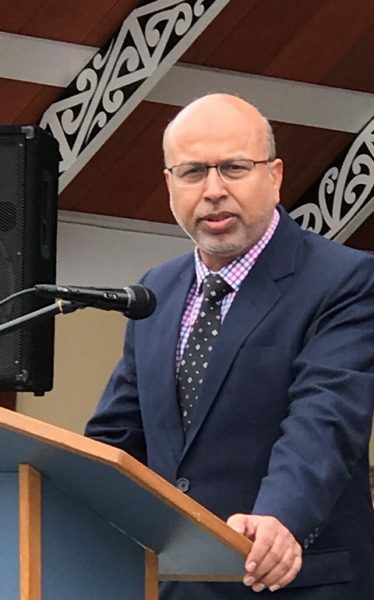 “We are committed to Maori and the Treaty (of Waitangi); we will work more closely and more meaningfully with all communities and ensure that New Zealand remains a safety country in the world,” he said. 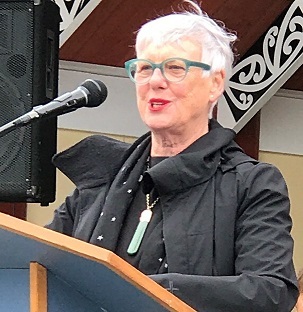 Rotorua Mayor (and former Cabinet Minister) Steve Chadwick said that it was pleasing to observe today’s New Zealand Police which has transformed from ‘No Representation’ to ‘More Representation’ of Maori in its ranks and the promotion of Wally to the post of Assistant Commissioner was an example. About 1000 people representing the Maori, Pacifica, Chinese, Indian and other communities were present at the event in Rotorua. Among them were police officials, Maori chiefs and community leaders. Wallace Haumaha has been at the forefront of leading and building the cross-cultural capacity of the New Zealand Police to facilitate operations in culturally complex situations since 1996. His work in facilitating partnerships within New Zealand’s ethnically diverse communities has been recognised both locally and internationally. 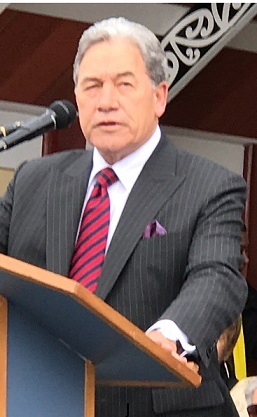 His understanding of the social, cultural and economic context of Maori saw him make a key contribution to the partnership launch of ‘Turning of the Tide,’ a ground-breaking Whanau Ora Crime and Crash Prevention Strategy endeavouring to reduce the incarceration rates of Maori. He established the first Memorandum of Understanding between Police and 14 major Iwi groups in the Bay of Plenty District, marking the beginning of a long-standing partnership model to work with Police. He was instrumental in establishing the first MOU with Te Wananga o Aotearoa to launch a Police Career Preparation Programme for Maori, Pacific and ethnic people. Assistant Commissioner Haumaha was appointed Deputy Chief Executive Maori in 2014 and has supported the Commissioner of Police on the development of crime prevention advice to reduce the over-representation of Māori in the criminal justice system. 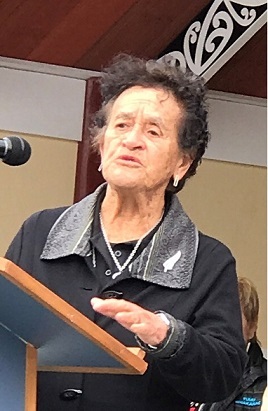 Among the other speakers at the Marae were Winston Peters, Steve Chadwick, Dame Iritana Te Rangi Tawhiwhirangi and Dr Anwar Ghani, a Member of the Police Commissioner’s Ethnic Focus Forum.